Soar into spring this year in Morro Bay, one of the top family friendly destinations on California's Central Coast. 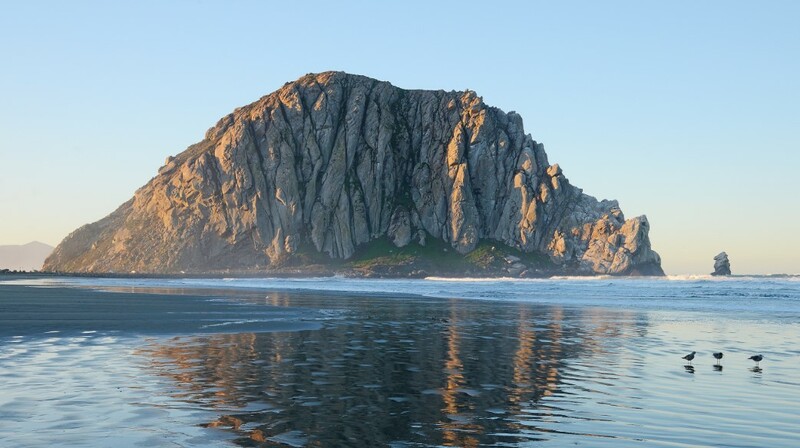 Designated as one of the "10 Best Bargain Trips for 2018" by Budget Travel,Morro Bay is a world-class destination with rooms starting under $100 mid-week and under $200 for most weekends. Located on scenic Highway 1 half-way between Los Angeles and San Francisco, this quaint fishing village is an amazing waterfront destination offering spring lodging specials at boutique waterfront hotels, quaint inns, intimate B&Bs and several remodeled budget-friendly motels reminiscent of 1950s classic California complete with contemporary amenities. Visitors will find plenty of great places to eat and drink featuring local ocean-to-table cuisine, wine country fare, perfectly grilled steaks, juicy burgers, and fish and chips by the sea. Wash down these delicacies with a chilled glass of local craft beer, a locally sourced Paso Robles or Edna Valley wine or a steaming cup of coffee or tea. There are also plenty of fun FREE things to do like tide pooling, hiking and beach combing for the abundant sand dollars found on Morro Strand Beach. Spring 2018 ads some new, fun events along with the great classics! NEW: The annual Kite Festival's, NEW For the over 21 crowd: The Leprechaun Crawl, or join in the annual fun with the Morro Bay Yard Sale, The Cruisin' Morro Bay Car Showand Miracle Miles for Kids.